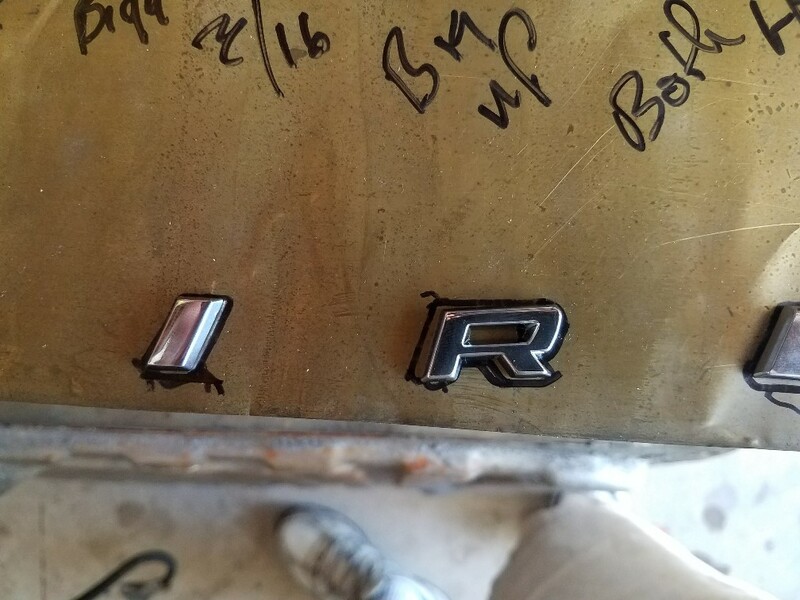 1966 FORD FAIRLANE GT REAR QUARTER PANEL ‘”GT” LETTERS-WILL THE 1967 GT LETTERS FIT IN THE 1966 REAR QUARTER PANEL HOLES IF THE HOLES ARE RESIZED? Just had a look at your pictures. 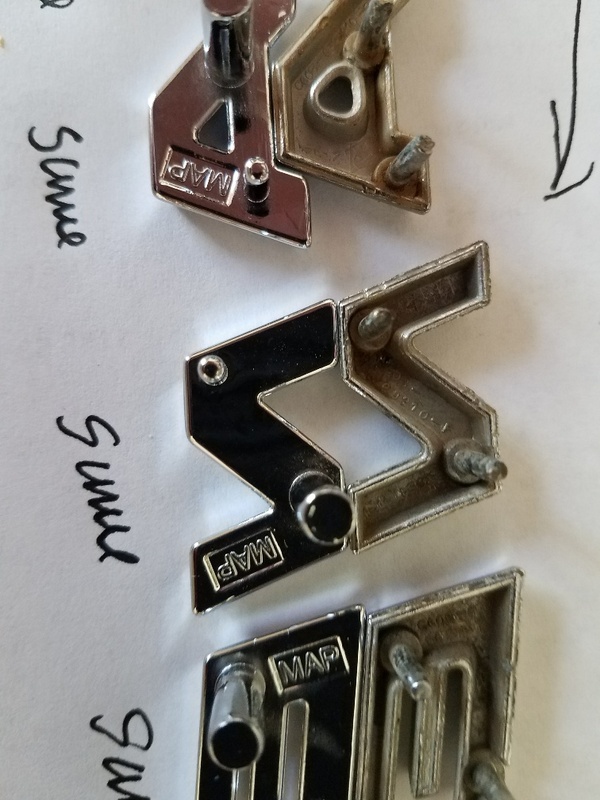 It may be due to the angle of the camera, but I can see some differences on some letters with respect to the pin centres (67 Large and 66 Small), and also the location of the 67 locating pin against the corresponding 66 small. 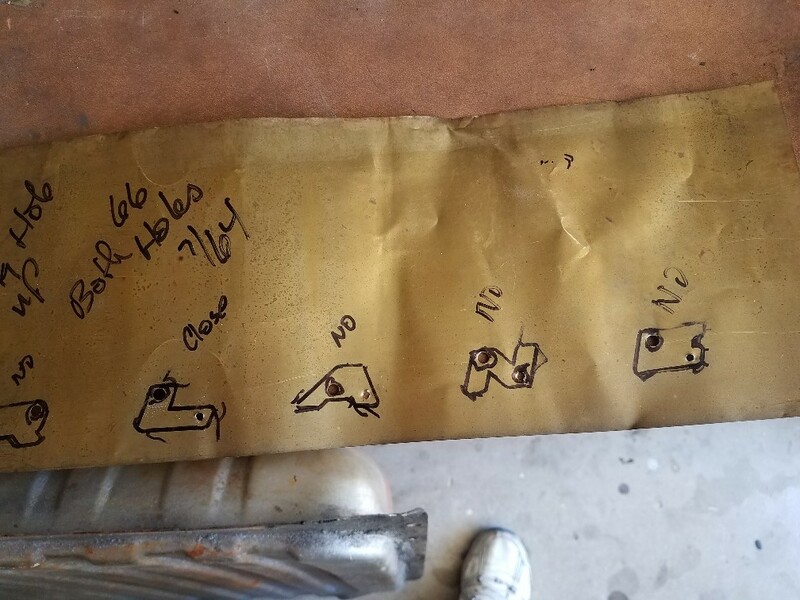 Have a look at these pictures, and the red lines. Thanks for that mate………….OK, I take your opinion on it. I have never compared them myself as I have never had the need for 67’s. My comments are based on what other Tech guys have told me over the years. Are you able to confirm this 100% for the membership group? 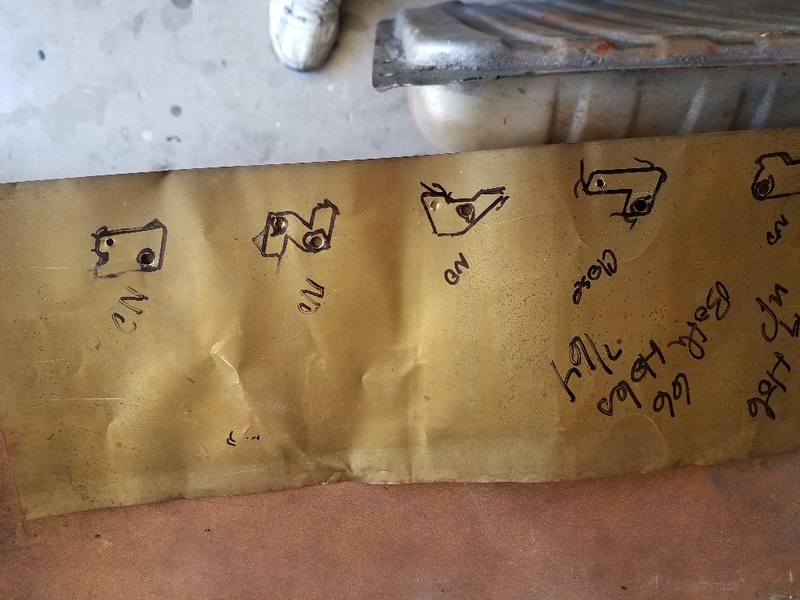 What I was thinking……..can you get a piece of sheetmetal, drill it for the 66’s, put them in place, trace around them, drill the hole for 67, and put the 67’s in place, and see how they line up?? It will take sometime, but you are in the perfect position to give this ago. That way we can go back to the membership group with a definite answer. 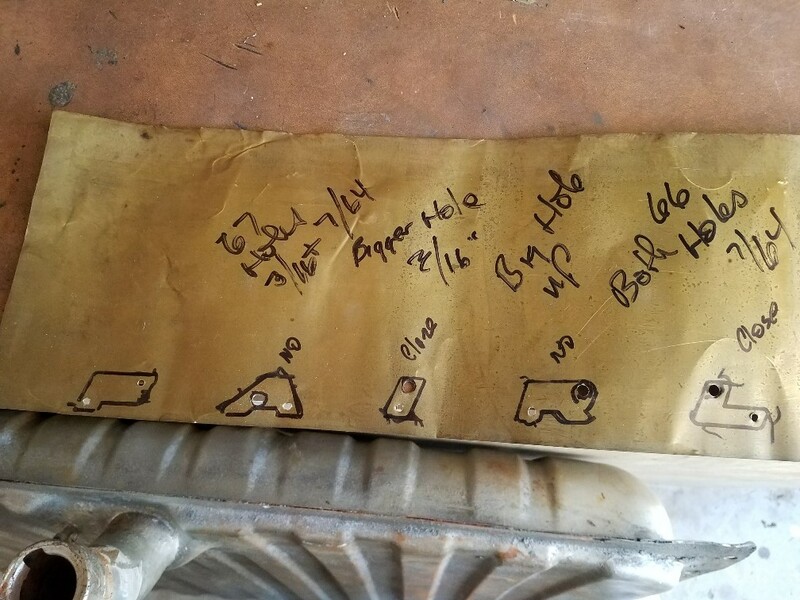 Also the locating pin on the 67….is it the same size and location as the 66? 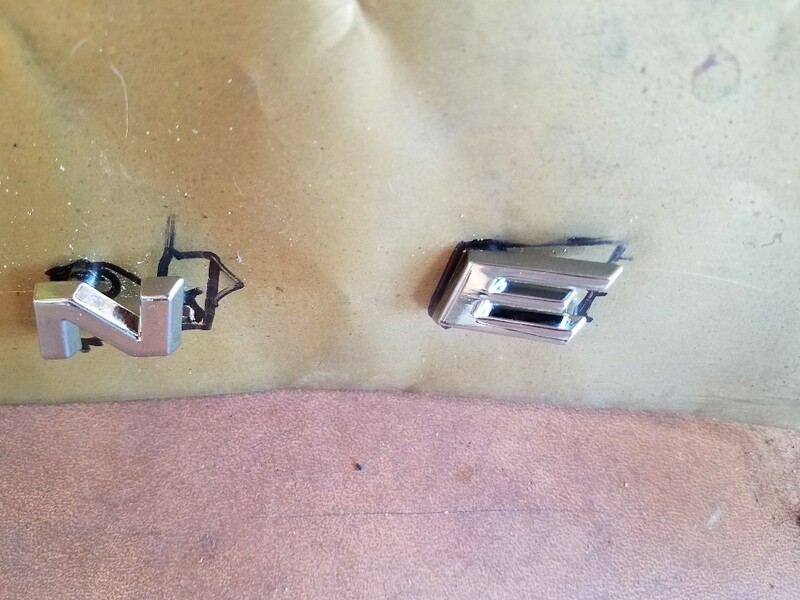 On the barrel clips………..66 Mustang hood and trunk letters are the same if that helps………..easily found. 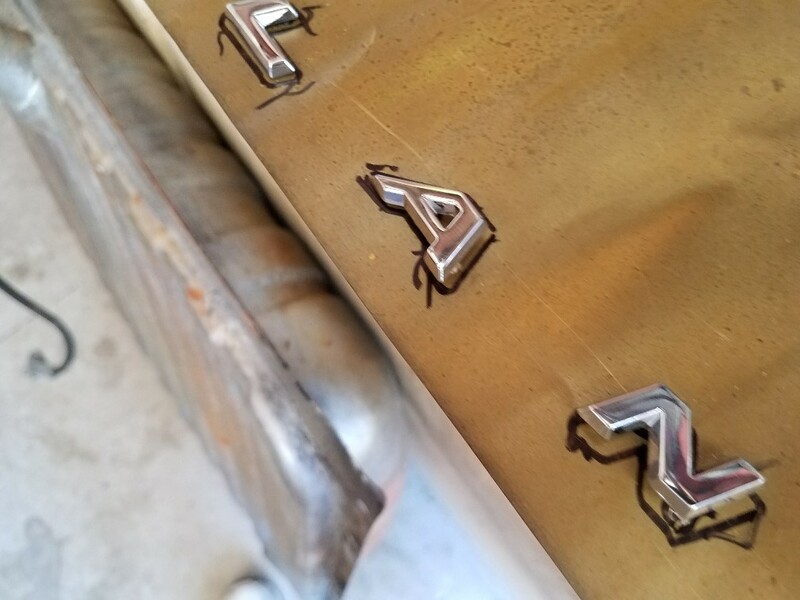 Okay so I went ahead and used a thin piece of sheet brass to make a template of my 1966 Fairlane GT quarter panel holes, fit 66 letters, trace them and then drill them oversize and try to fit a set of 67 letters. 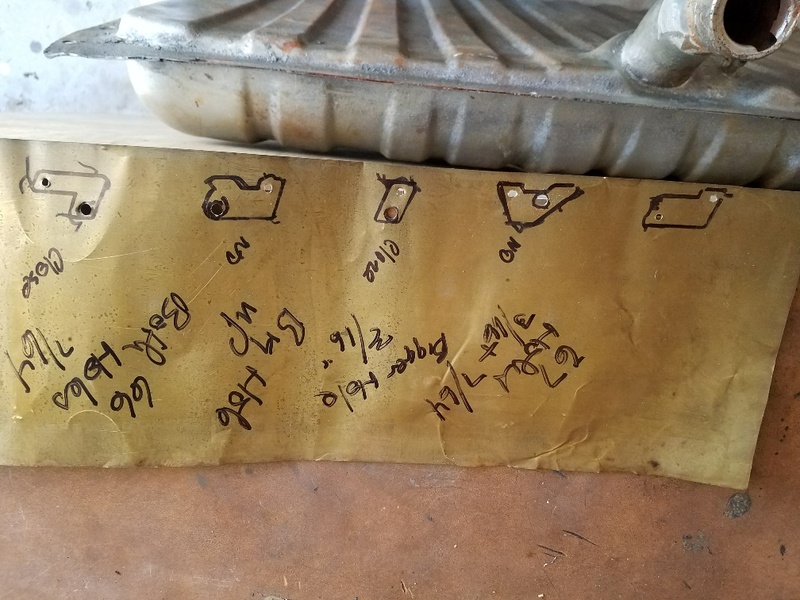 The pictures below at the bottom are a series comparing a set of 66 and 67 GT Letters followed by the top series of pictures making the template, fitting first 66 letters, then drilling it out and followed with 67 letters. Okay Glenn Smith, indeed they or the pins on the 67s are close but not exact so they do not line up. 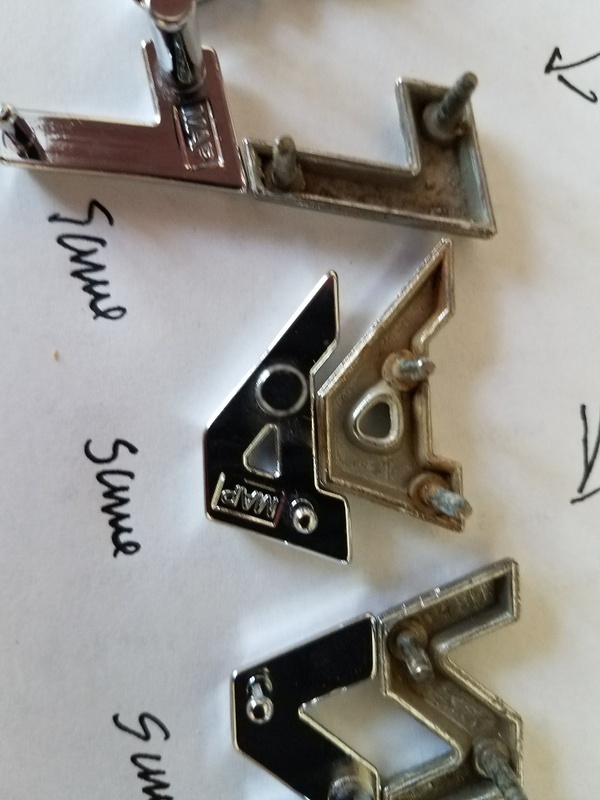 There were two which were very close, but the other 5 were not close and of course the 8th letter or the F is not going to fit anyway due to the complete change of pin position. 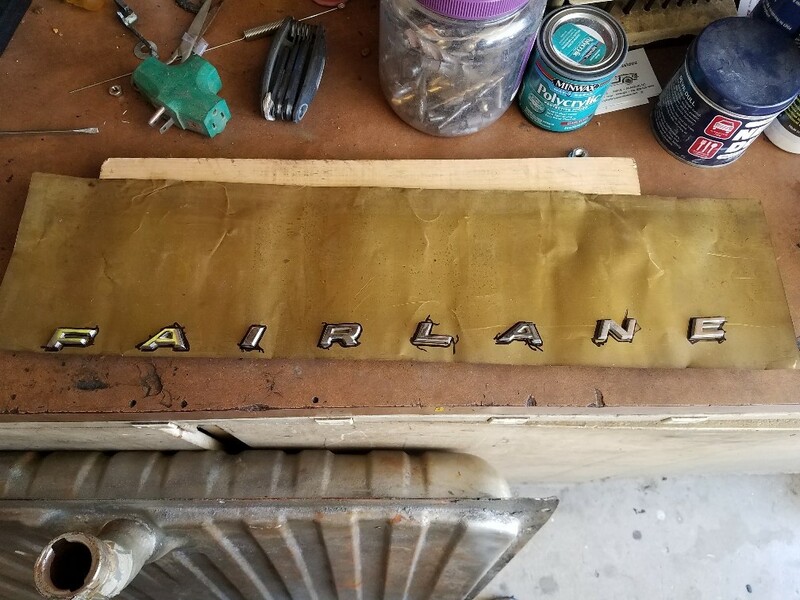 I used a very thin piece of sheet brass, taped it over the holes, head a board with pressure against the sheet brass as I drilled through the letter holes from the trunk side. 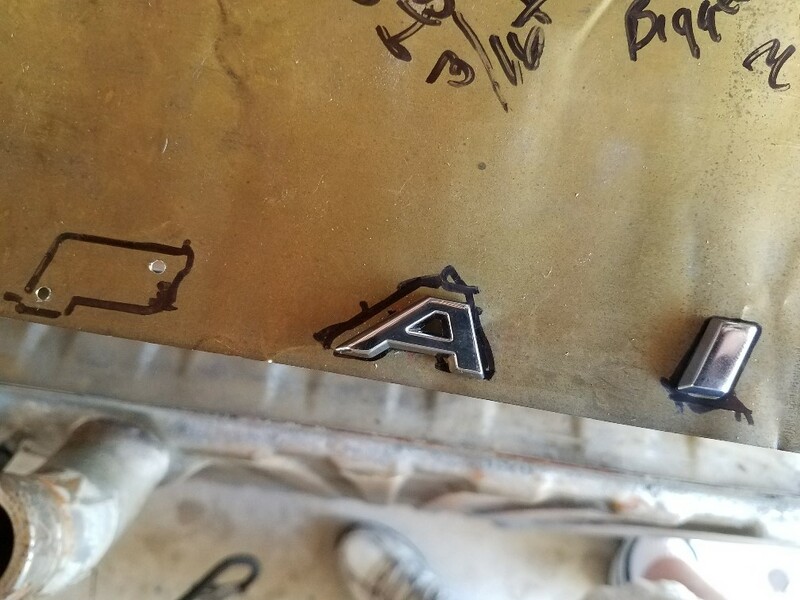 Once finished and after marking the letter outlines I decided to opt for the large hole on the upper end of the letter and marked those holes for enlargement. I used the drill press and a board underneath to open up the holes. 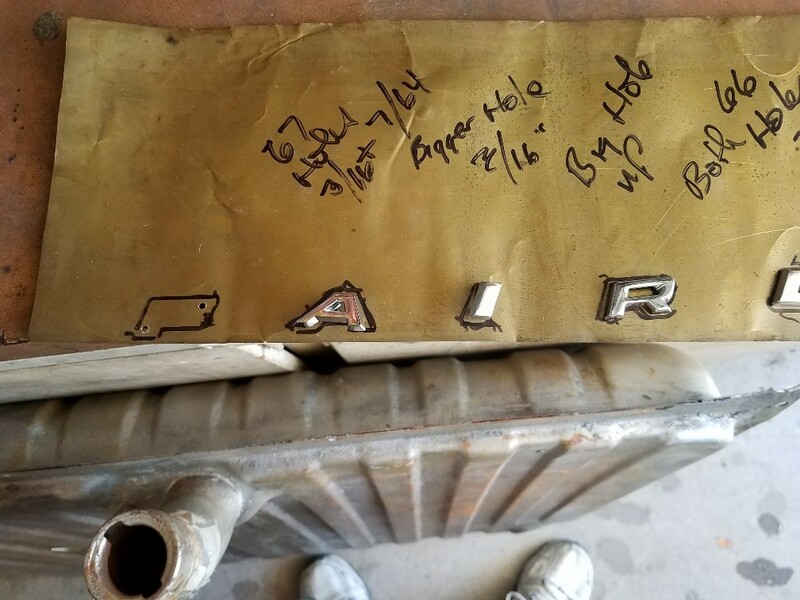 Both 66 holes appear to be 7/64 inch diameter while on the 67 letters the large pin is 3/16 inch dia and the small pin is the same as 66 7/74 inch dia. After it was drilled only a couple fit in the holes and two of those were close but the other 5 were not close and would not fit into the holes unless I enlarged the small hole. Even if I did, they don’t line up. 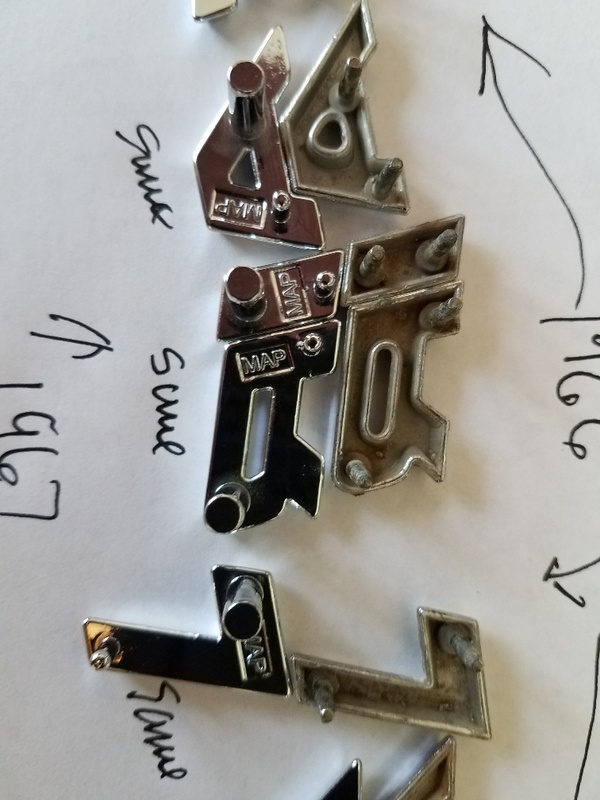 Of course the F letter has pins which are the opposite mount positions to the 66.